Many people suffer from back pain, often without visiting a medical practitioner who may be able to relieve the pain and reduce the chance of re-occurrence. Paragon Physiotherapy Ltd always assess the individual with a view to finding out why you are suffering from upper back and chest pain and not just with a view of reducing the pain short term. Once we have assessed the reason behind your pain we can provide bespoke care to reduce the pain and provide a long term solution. The Thoracic spine gives protection and stability to the internal organs and the chest area. 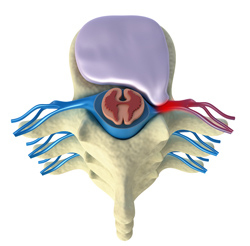 Thoracic back pain is common with 20% of people suffering at some point in their lives. It can be caused as a result of trauma, sudden injury or through strain and poor posture over time. There are lots of different structures in close proximity that are all capable of producing pain, including bones, ligaments, tendons, disks, muscle and nerves. As with any pain it is important to have a clinical diagnosis so that the treatment you receive is appropriate to your condition. Arthritis, muscle pain, bulging disc, degenerative disc disease, facet joint pain, fibromyalgia, migraine, pinched nerve, scheuermann’s disease, scoliosis, stenosis, spondylosis, thoracic outlet syndrome, whiplash and wry neck.